A story from last year, just thought I'd share. Memorial Day has come and gone. That means summer is officially upon us. Cookouts, pool parties, vacations and drives are all high on my to-do list. This Memorial Day found me at my mom’s for our annual family cookout. My mom has the gifted talent to make any event seem very special. From fresh flowers on the front door step, to decorations on the table, a selection of fresh appetizers, succulent main course paired with a nice wine and of course dessert. The Martha Stewart of Kansas. I always get nominated to grill the latest season of meat for the meal. No, not to brag, but I have grilled steaks in 100-degree heat, chicken under an umbrella in a rainstorm, shrimp while being pelted by sleet, and on this perfectly sunny 75-degree Memorial Day afternoon, beef and chicken kabobs. Cooking at my parent’s house is fun and a little nostalgic. My father died more than 15 years ago. He was a car guy’s car guy. He even bought my mom a ’99 Boxster because she said she liked the color. Coming up on 75 years old now, she still drives that little red Boxster. 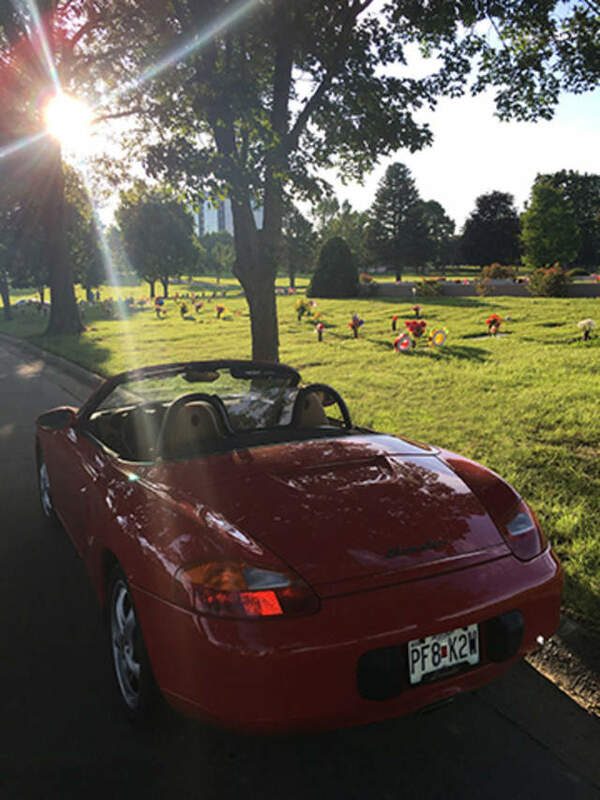 This Memorial Day, after the family cookout, I took mom’s Boxster to see Dad. On the way home, I took a turn on Red Bridge road and headed to Blue River road. (Very patriotic, right?) Blue River road is a hidden ribbon of asphalt that rises and falls with the Little Blue River and Minor Park. Evening shadows and beams of sunlight take turns dancing on the road as I run through the gears. I only slowed once to take in the hidden waterfall. Returning safely to the garage, I think about my Dad and Mom. Somehow I know he’s glad she is still driving that little red Boxster. Agreed, thanks for writing it up. Well done! Got me all choked up as well. I'm sure several of us can relate as many are at that age where our parent are aging quickly. Reading your story reminds me that not always will my dad be there for me to answer all those pesky questions about the work I do on my own Boxster. Me, "Hey dad, do you want to help me install sport springs on my Boxster??". Dad, "Sure, come on up this weekend, we can crank through it in a day". My dad is also a car guy's car guy. And he always is willing to help out anyone who's in need (and has the garage to do it - from a two pole lift, to a self-contained sand blaster and all the pneumatics you could need). He's been remodeling and rebuilding cars since before I was born and continues to this day (at 76 years of age). 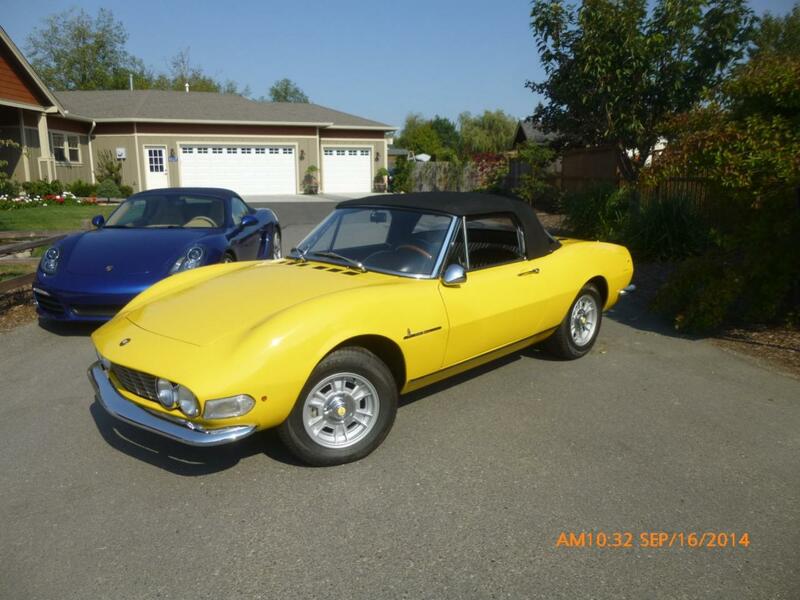 His latest rebuild is a 1967 Fiat Dino. A gorgeous number in Fly Yellow (think that's the name of the color). Photo attached. You will notice his daily behind it, a 2013 Boxster he bought new and has accumulated over 80k miles so far (or more) - he does at least one major trip a year with his wife, touring the country. Thanks for the reminder to spend more time with Mom & Dad - we often get wrapped into our own busy lives and forget to stop and appreciate the family we have and those who love us.